Hay Skids from Te Slaa Mfg. are not built to just feed hay, but to feed hay efficiently. 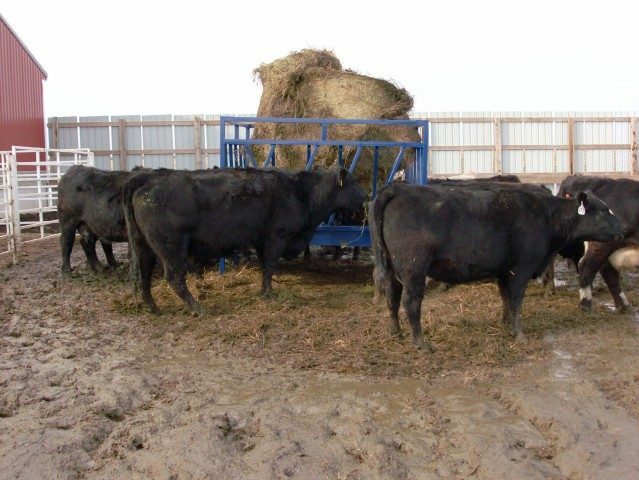 One of the primary ways a farmer can cut forage costs is to decrease waste. Our skid bunks were built with that in mind. 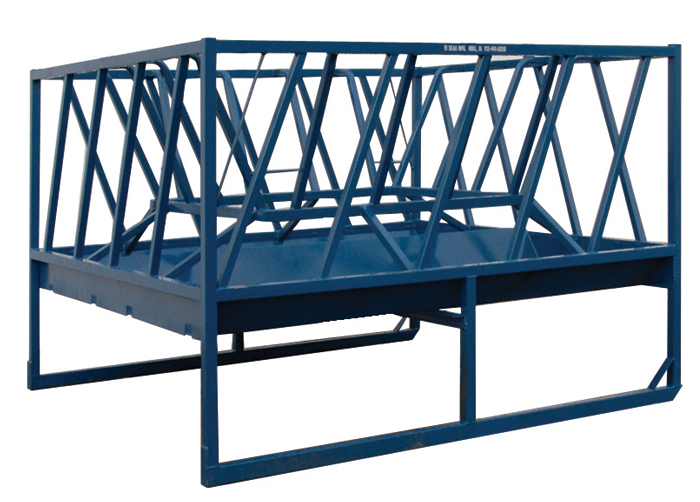 This feeder can be used for round hay bales, ground hay, square bales, silage, and grain. 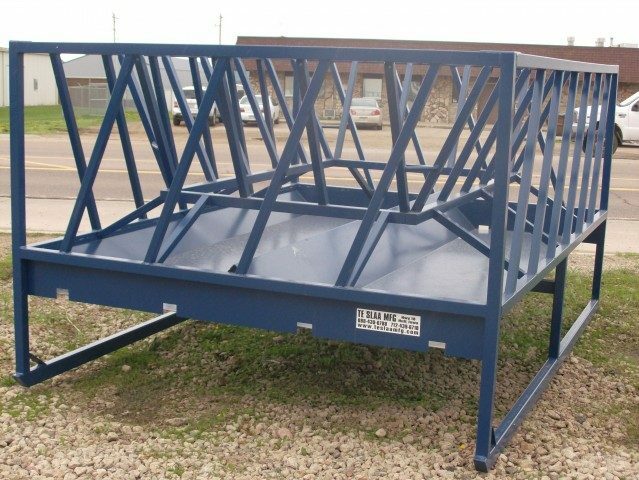 This bunk is designed for animals 500 lbs. and larger. Inferior hay bunks are built so that falling hay ends up on the ground, wasted. Our new feeder is designed so falling hay falls past the first layer of bars onto the feeding pan, keeping it in the feeder. This is accomplished by the inner row of bars. 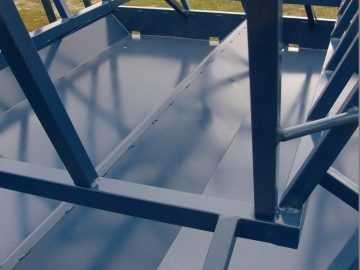 A V-type center pushes feed to the outside of the feeder where livestock can reach it, but the second set of bars keeps it contained. 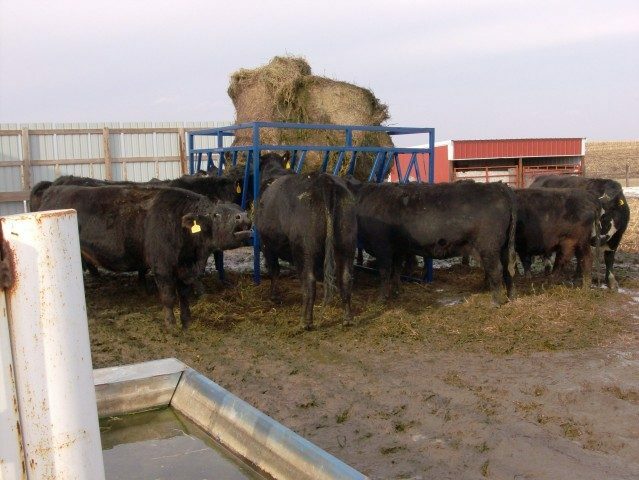 As a result you save 1⁄4 to 1⁄2 of all hay that is wasted with other round ring feeders.